GEYSERVILLE, Calif. – Francis Ford Coppola Winery announced today its return as the go-to wine for award season with the renewal of partnerships with the Sundance Institute and the Academy of Motion Picture Arts and Sciences. For the second year in a row, the winery will be the exclusive wine sponsor of the Sundance Film Festival. 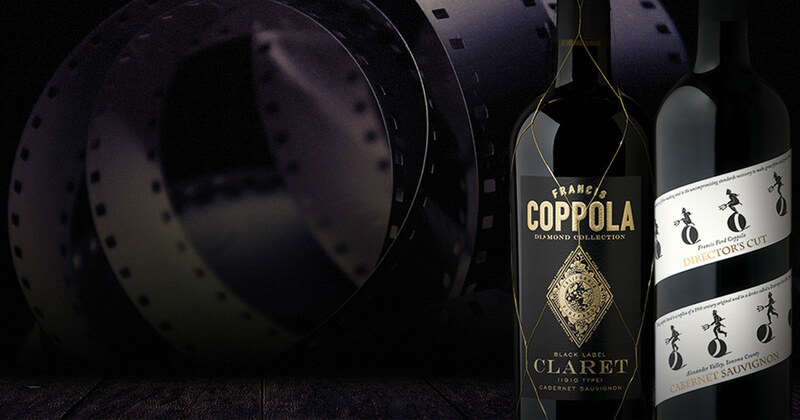 Six-time Oscar® winner Francis Ford Coppola’s eponymous winery will also be the sole wine brand poured at the 90th Oscars® and Governors Ball, the Academy’s official post-Oscars® celebration. Attendees of the 2018 Sundance Film Festival will have several opportunities to interact with Francis Ford Coppola Winery. Select wines are being served at official Sundance Institute events. In addition, attendees can visit the winery’s activation at the Festival Co-Op on Main Street, dubbed “The Coppola Club.” Guests will be able to immerse themselves in a unique film experience and screen The Family Coppola’s first original branded short film, “The Red Stain,” directed by Rodrigo Saavedra. In this innovative club space, The Family Coppola will premiere the new Diamond Collection Pavilion Chardonnay and introduce an exclusive new rewards program for The Family Coppola insiders. Peet's Coffee® will be available for guests seeking a respite from the cold. While at Sundance, The Family Coppola will also announce the winner of the Francis Coppola Director’s Short Film Competition, a collaboration with Francis Ford Coppola Winery and Zoetrope: All-Story, at a private venue. The five competition finalists, as selected by accomplished filmmaker and entrepreneur Roman Coppola, are Jon Ayon, Gus Péwé, David Bornstein, Odessa Young and Matt Nelsen. Film buffs can cast their vote for the competition’s Viewer’s Choice Award at www.TheCoppolaClub.com. “We conceived of the competition as a call to action, as a catalyst for anyone with the ambition to make a film to do just that. We’ve been encouraged by the response, and grateful for the introduction to such inventive and imaginative work, especially from new and emerging filmmakers,” said Roman Coppola. Festival fans not in attendance may join in the virtual fun by visiting www.TheCoppolaClub.com, following @CoppolaWine on Facebook, Twitter and Instagram, and by following the hashtag #CoppolaWine. As award season extends into March, Francis Ford Coppola Winery wines will also be poured at the 90th Oscars ceremony and Governors Ball on March 4. Francis Ford Coppola and Winemaker Corey Beck worked together to design custom wine blends and commemorative labels for the occasion. These wines will be available at www.FrancisFordCoppolaWinery.com.